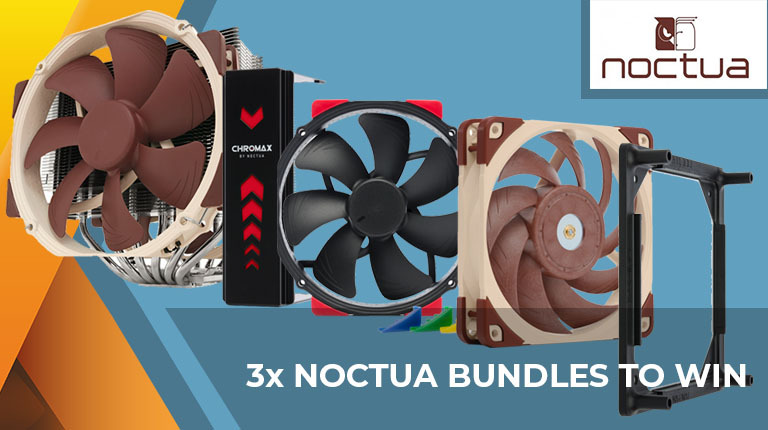 We're big fans of Noctua gear so it's our pleasure to reveal three fantastic bundles on Day 14. First prize is an NH-D15 dual-tower cooler, an NA-HC3 chromax.black.swap heatsink cover, and a pair of NF-A15 HS-PWM chromax.black.swap 140mm fans. Second prize is an NH-U12S single-tower cooler, an NA-HC1 chromax.black.swap heatsink cover, and two NF-F12 PWM chromax.black.swap 120mm fans. Why stop at that? We also have a third prize that comprises eight NF-A12x25 PWM 120mm fans and four NA-SFMA1 fan mounting adaptors. The competition winner will be picked at random from all eligible entries that arrive by 09:00 London time on the closing date, December 30, 2018. First prize is an NH-D15 cooler, an NA-HC3 chromax.black.swap heatsink cover, and two NF-A15 HS-PWM chromax.black.swap fans. Second prize is an NH-U12S cooler, an NA-HC1 chromax.black.swap heatsink cover, and two NF-F12 PWM chromax.black.swap fans. Third prize is eight NF-A12x25 PWM fans and four NA-SFMA1 mounting adaptors. Not sure if I registered two entries or not by accident, as the first time I tried, the page didn't respond, and I just saw ‘waiting for hexus.net’ in the page load status. Around that time I couldn't get anything else on the site to load, so I waited a couple of minutes then tried again. Apologies for causing any hassle. You get a confirmation email if your entry was logged. Edit: then again I haven't got any the latest 2 contests. Very nice. Many thanks to Hexus and Noctua.